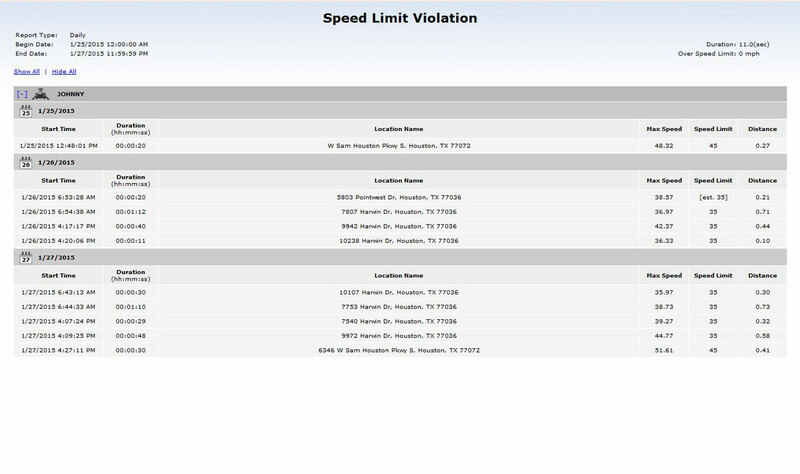 This report gives a snap shot of speeding violations based upon posted speed limits. 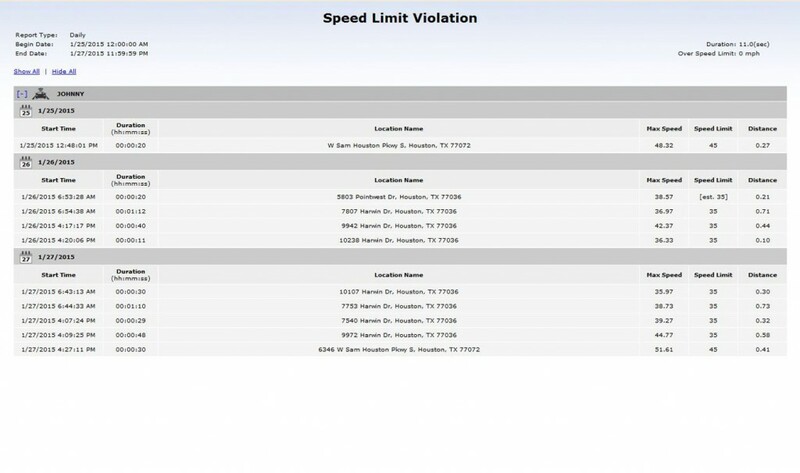 It is fully customized for mph over limit and duration of violation. It can be viewed as single or multiple drivers.